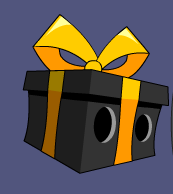 Description: A present shaped like helm! Save this and it will magically open at the start of the new year. No peeking! This item was changed to Tarandus Battle Helm 12 on January 2nd, 2013. Also see List of all Giftbox Helms.